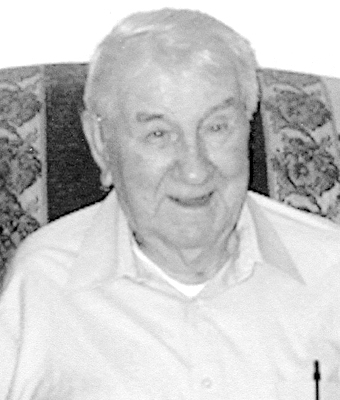 Richard Lee White, 91, a resident of Files Creek community, Beverly, departed this life Wednesday, April 19, 2017, in West Virginia University Hospital Ruby Memorial at Morgantown. He had been in declining health. He was born Friday, May 1, 1925, at Job, a son of the late Edward and Della Zena White. On Dec. 12, 1945, at Elkins, he was married to the former Izetta Jewel Daniels, who preceded him in death Oct. 12, 2004. Surviving are two sons, Roger Lee White of Beverly and Victor Lynn “Vic” White of Elkins; one daughter, Brenda E. Teets and husband, Stanley, of Elkins; one sister, Emma Ruth Zickefoose; three grandchildren, Chris White, Kelly Rayfield and husband, Amrit, and Krista Miller and husband, D. Jay; four great-grandchildren, Gabryelle Rayfield, Emma Miller, Tanner Miller and Parker White; and a very faithful friend and caregiver, Dariel Talkington. He was preceded in death by one brother, Ralph Earl White; and six sisters, Irna May Bridges, Connie June Vance, Annabelle Butcher, Georgia Geneva Menis, Margaret Hellen Putzulu, and Hazel Enola White. He attended the schools of Job and Harman High School. He was a veteran of the United States Army serving during World War II and stationed in the Philippines. He worked various local jobs and was a former employee of Columbia Gas Co., until his disablement in 1971. He was a member and regular attendee of Beverly United Methodist Church. He was a hard worker, a good dad, enjoyed spending time with people and had a great sense of humor. He enjoyed gardening, mowing and watching wildlife. He picked up repairing cane bottom chairs, as well as other hobbies to help regain strength after being disabled. He was a member of Tygart Valley Post 3647 Veterans of Foreign Wars and H.W. Daniel’s Post 29 American Legion. The family will receive friends at Lohr & Barb Funeral Home of Elkins Saturday from 6-8p.m. On Sunday, April 23, Mr. White will be moved to Beverly United Methodist Church, where friends may call from 1-2 p.m., the funeral hour. The Rev. T. David Thompson will officiate, and interment will follow in Beverly Cemetery at Beverly, where the West Virginia National Guard Army Guard will present the American flag. Lohr & Barb Funeral Home is in charge of the arrangements for Richard Lee White. Condolences may be expressed to the family at www.lohrbarbfuneralhome.com.